British number one Johanna Konta has “the game to beat anybody”, including Serena Williams, says tennis great Martina Navratilova. 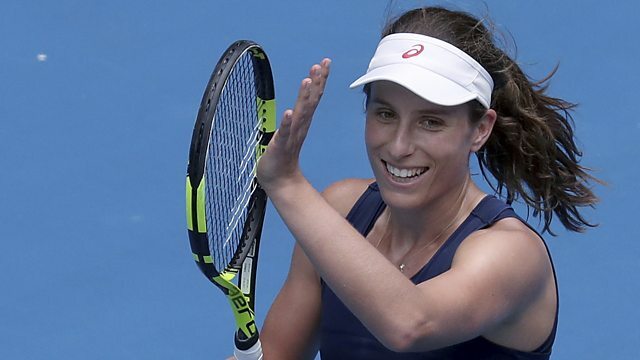 Konta faces American world number two Williams for the first time in the quarter-finals of the Australian Open on Wednesday, following a straight-set victory over Russia's Ekaterina Makarova in the fourth round. "Johanna is playing great, not just very well. She just keeps improving", says 18-time Grand Slam winner Navratilova. This clip is taken from 5 live Sport on Monday 23rd January 2017.